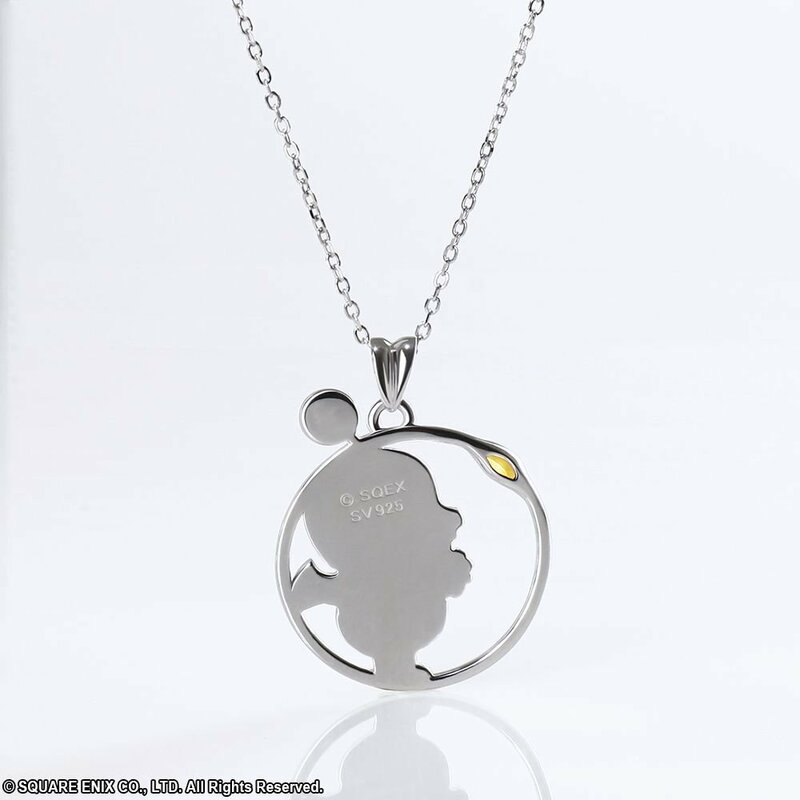 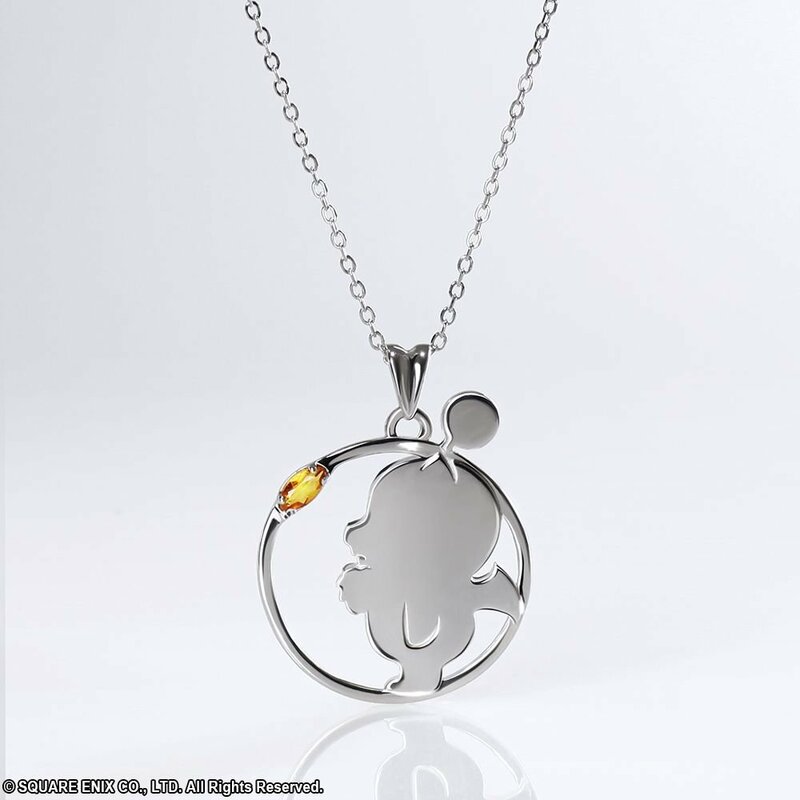 Popular FINAL FANTASY® character Moogle makes its appearance as a necklace! 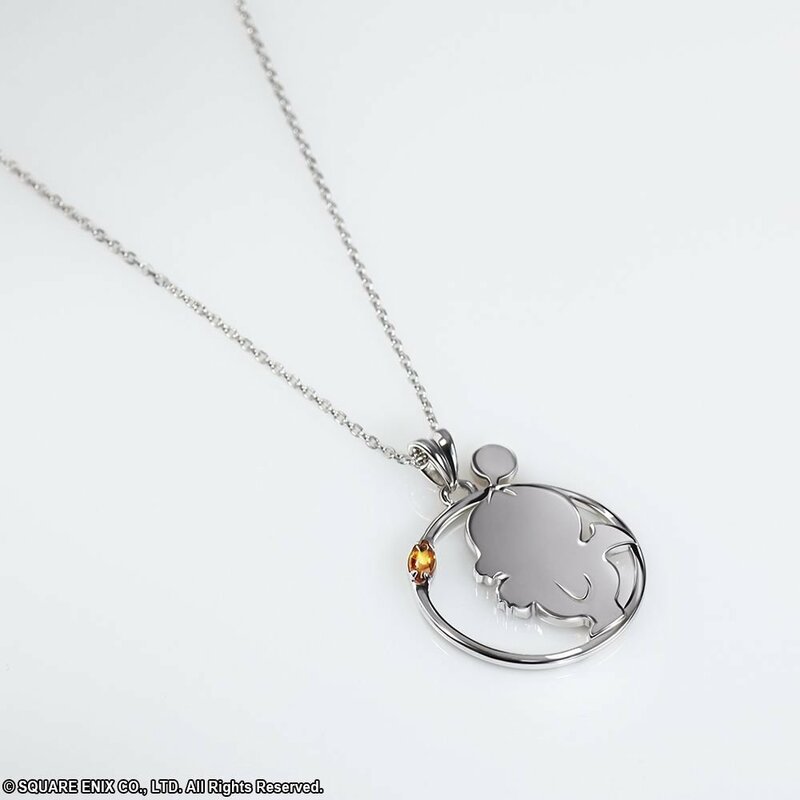 A cute silhouette of a chubby, cuddly Moogle staring at a crystal of synthetic Yellow Topaz! 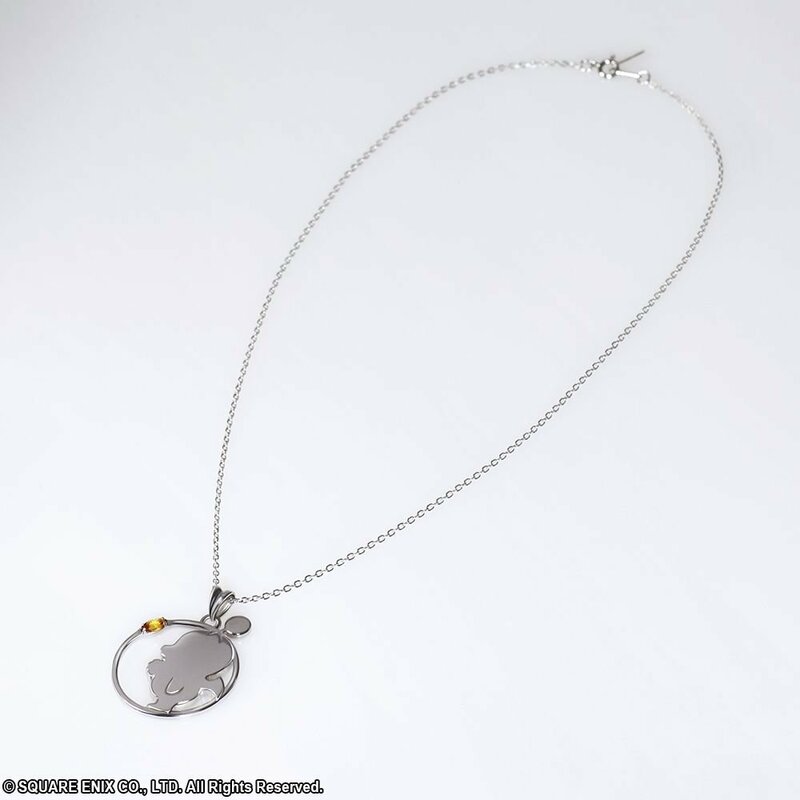 This simple, gorgeous necklace with its yellow stone is an elegant accessory.